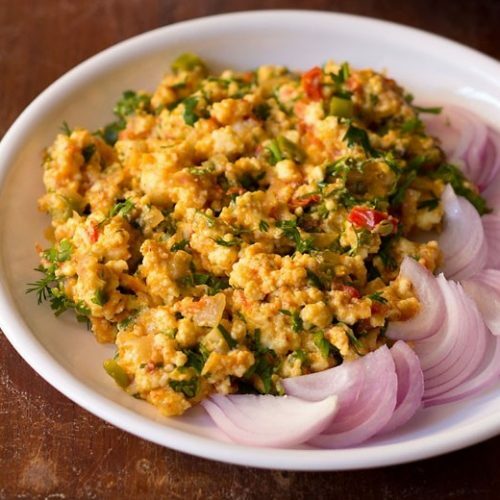 paneer bhurji is a medley of onions, tomatoes, spices with cottage cheese. paneer bhurji recipe with step by step photos – paneer bhurji is a popular and delicious north indian breakfast recipe made from crumbled paneer. bhurji means scrambled. 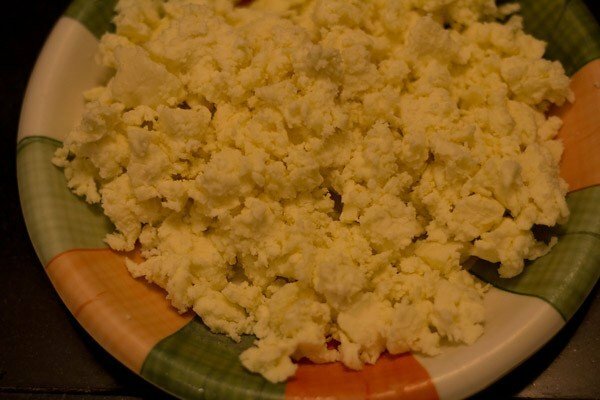 so in this dish, the paneer aka cottage cheese is scrambled. the whole dish is sauted onions-tomatoes with spices to which the crumbled paneer is added. its a quick recipe which does not take much time to prepare. best to have paneer bhurji hot with some bread or rolls or pav/indian bread, rotis or parathas and a cup of hot tea. paneer bhurji can also be served as a side dish. 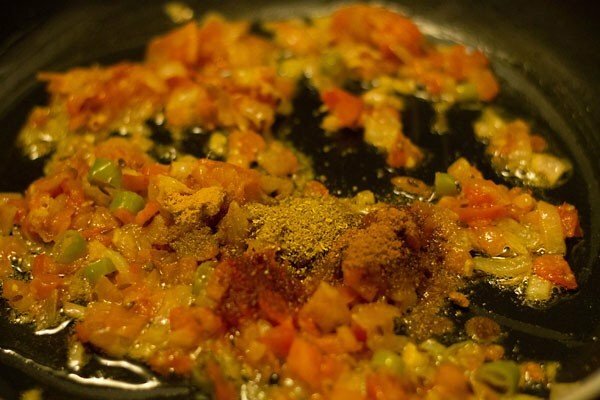 i have also shared paneer bhurji gravy recipe. 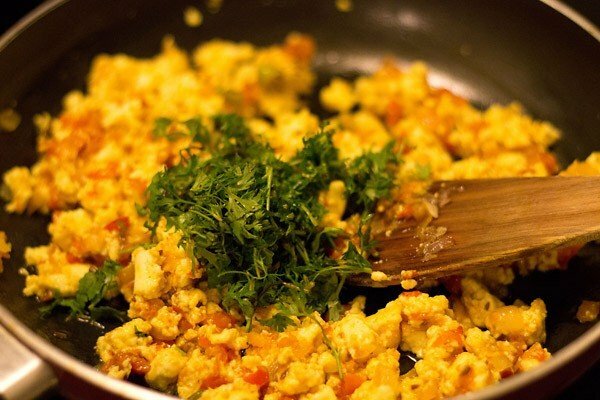 most bhurji recipes are quick to make and ideal for breakfast. in north india they are often had with rotis or phulkas. egg bhurji and paneer bhurji are quite popular and served in most north indian dhabas (road side eateries). whenever i make any paneer dish at home then i prefer to make paneer at home rather than buying it from outside. 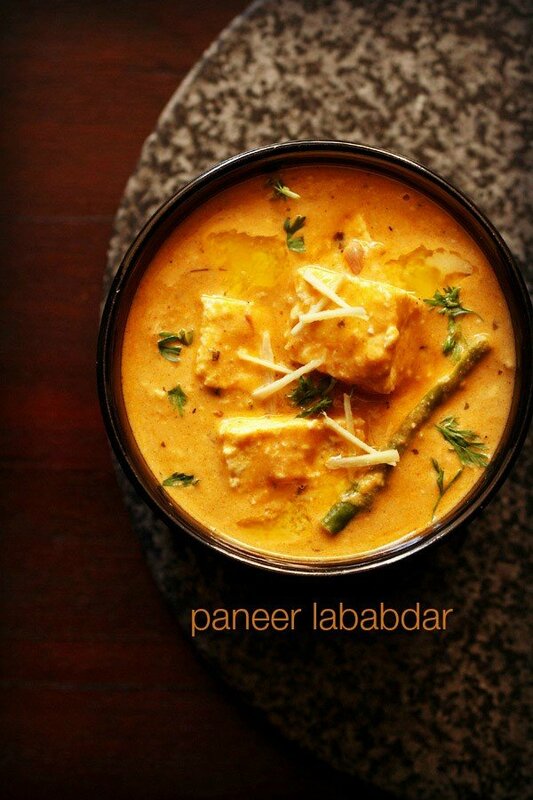 here is the recipe link sharing the method of how to make paneer at home. chop the onions, tomatoes and green chillies. keep aside. crush the ginger garlic in a mortar pestle and keep aside. also remove the spice powders and keep aside. 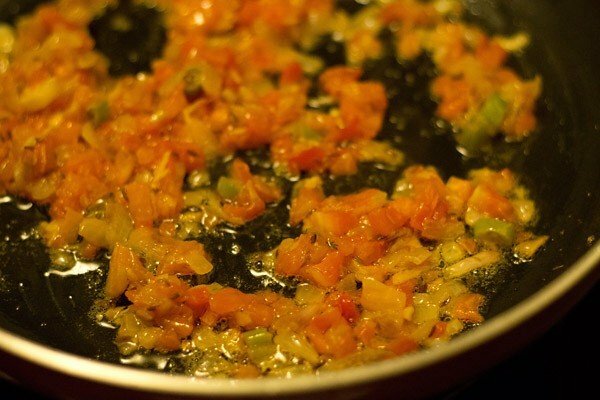 heat oil or ghee or butter in a pan. add cumin seeds first if you are using them. once they get browned, add onions. 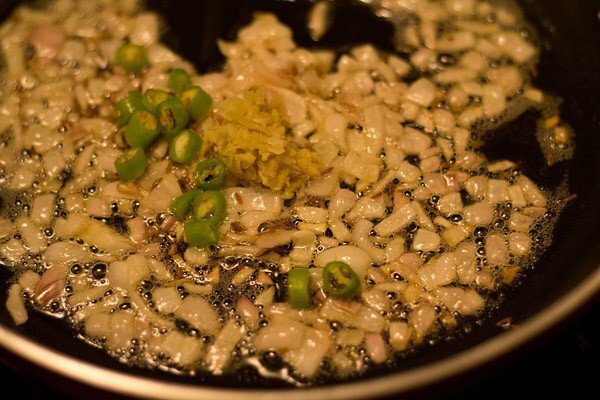 when the onions become translucent, add ginger-garlic paste and chopped green chilies. saute till the raw aroma of the ginger-garlic goes away. then add tomatoes and cook till they become soft. you can add a pinch of salt so that the tomatoes get cooked faster. now add all the dry spice powders - turmeric, red chili powder, garam masala powder. 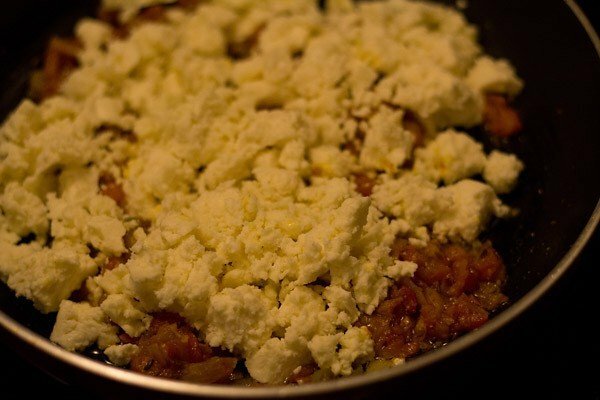 then, add the crumbled paneer and let it cook for 1 to 2 minutes. 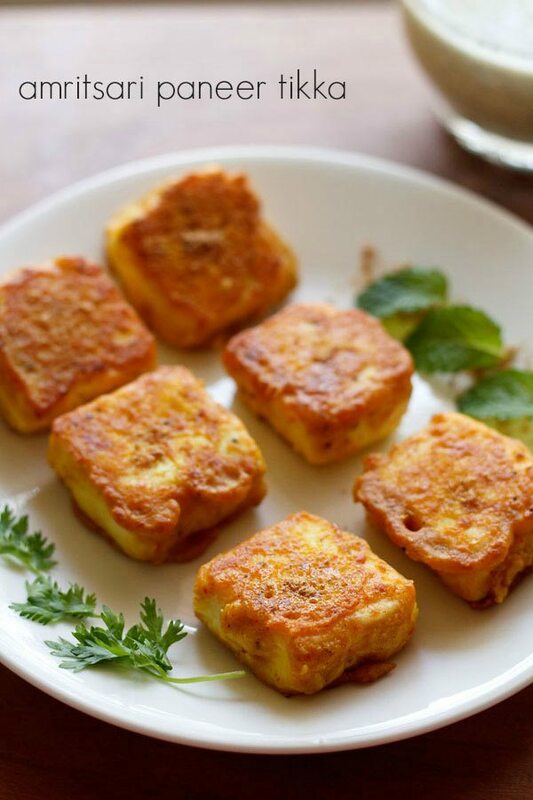 don't cook the paneer for a long time as they harden and loose their softness. lastly add chopped coriander leaves to paneer bhurji and mix. 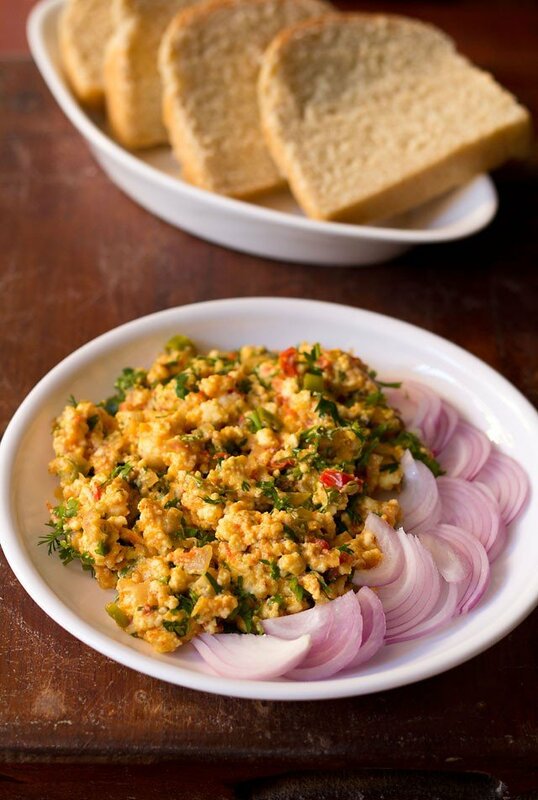 serve paneer bhurji hot with bread toast. 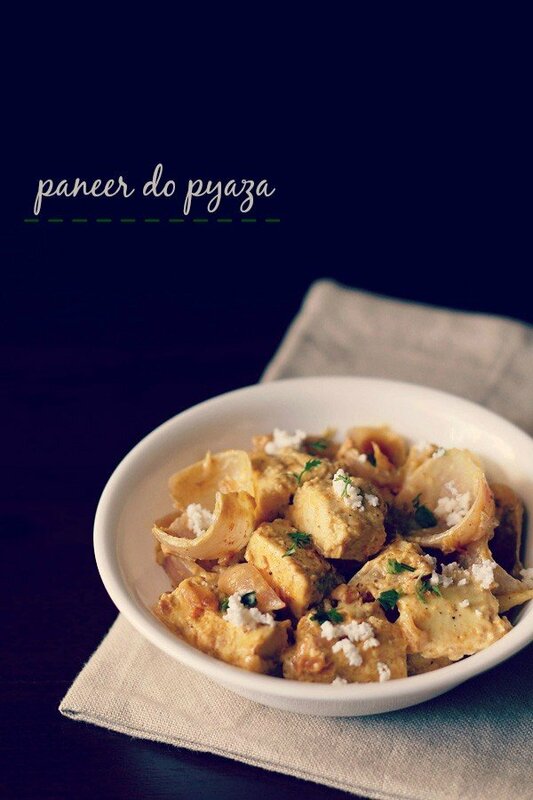 you can also serve paneer bhurji with rotis, plain parathas or as a side dish. 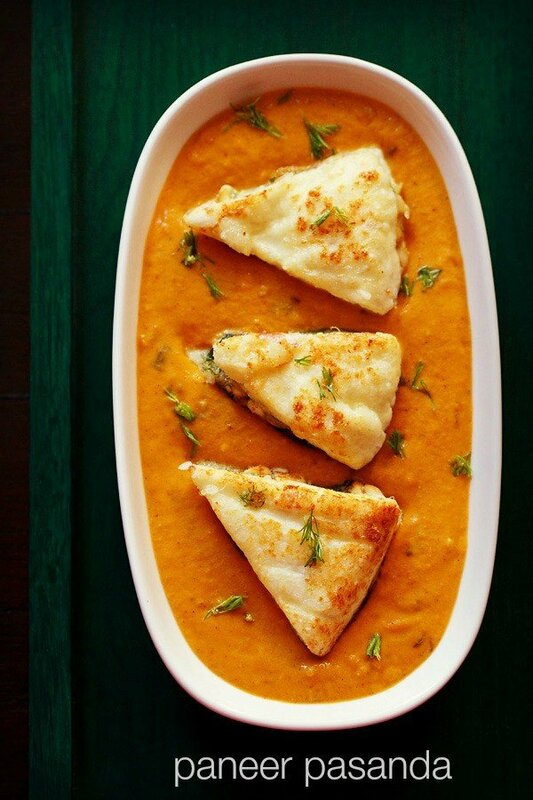 1. crumble the paneer (cottage cheese) and keep aside. 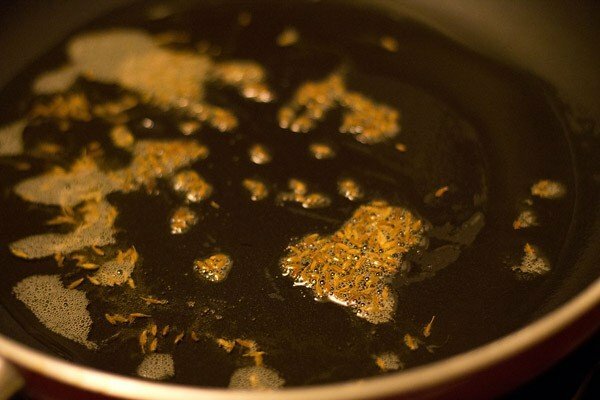 2. heat oil or ghee or butter in a pan. add cumin seeds and crackle them. 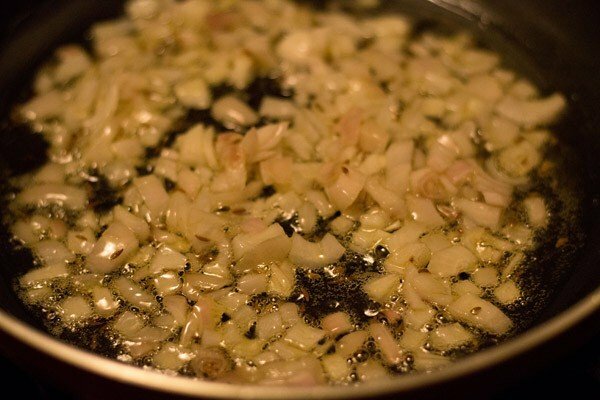 4. when the onions become translucent, add chopped ginger-garlic paste and chili. saute till the raw aroma of ginger-garlic goes away. 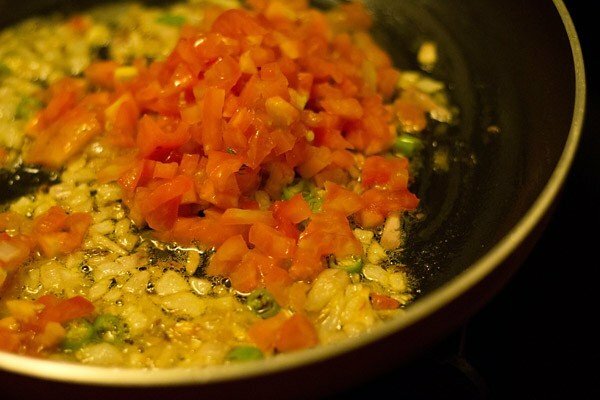 6. cook tomatoes till they become soft. you can add also add a pinch of salt so that the tomatoes get cooked faster. 7. now add all the spice powders. stir and mix well. 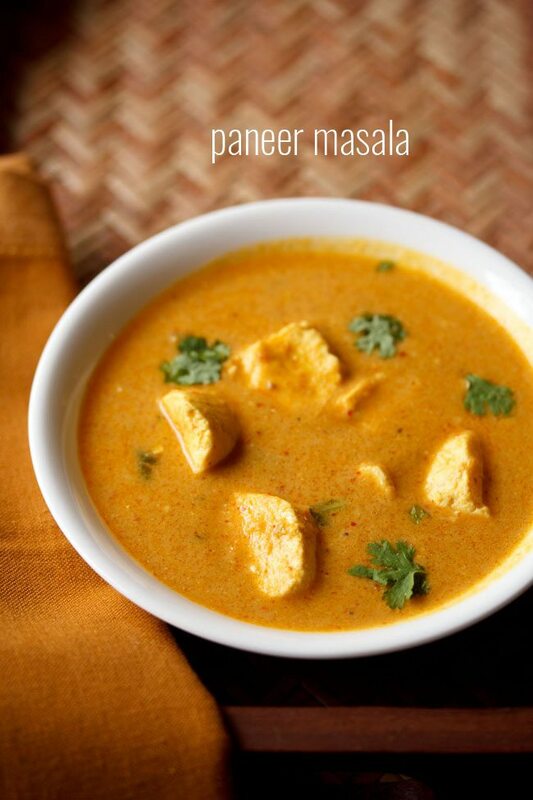 9. don’t cook the paneer for a long time as they harden and loose their softness. lastly add chopped coriander leaves to paneer bhurji and mix. 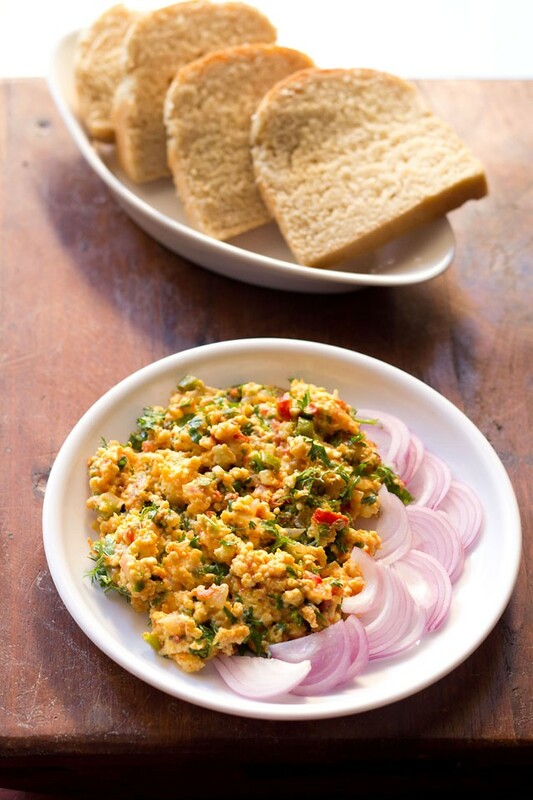 10. serve paneer bhurji with bread toast. 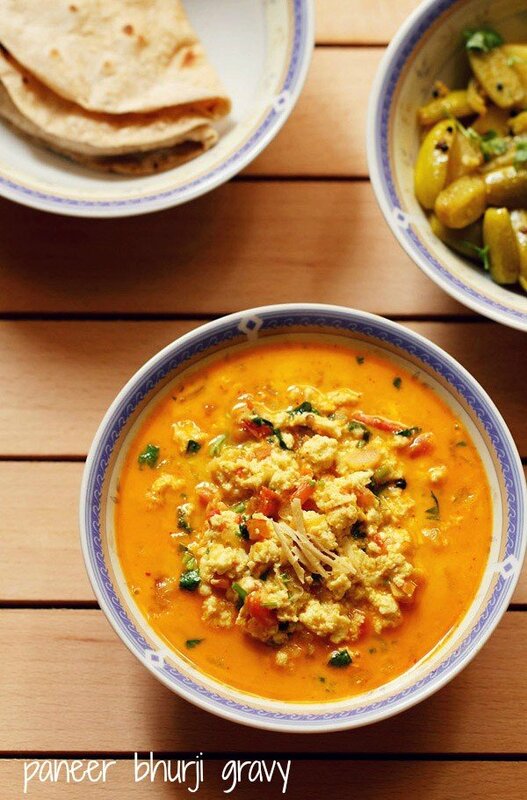 you can also serve paneer bhurji with rotis, plain parathas or as a side dish. It is best… I tried making paneer bhurji first time and received compliment from my husband..saying it is yummy and tasted just as he wished. Thanks 😊… Keep sharing your recipes. thanks archana for sharing your feedback. glad to read it. welcome and happy cooking. It’s very easy to make & a very gud recipe for beginners like me. thanks vaishnavi for this feedback and rating. glad that the recipe worked good. I’m a hostelite and staying away from home plus being a beginner at cooking, your recipes are a life saver!!! Thank you so much for your wonderful work!!!! welcome prachi and thank you for this lovely feedback. happy cooking. Your recipes are so simple and the resulting dishes are really tasty. I have followed your page for the past 3 years and all the dishes have been perfect! Please start a mobile app for this page as well! thank you aarti. we had a mobile app earlier. we had to remove it as everyday we would get technical complaints from readers. also we were not getting goos support from the third party company which we had hired to make the app. so it was becoming too difficult to handle these issues. so we decided to call it quits. Wow! Simple, easy, yummy & nutritious. Welcome Payel. Glad to know this. Thanks for sharing your positive feedback on recipes. Can we add capsicum to this recipe of Paneer Bhurji?Will it taste good?Please tell me asap.Thanks! you can add capsicum. it will taste good. I am a beginner and this dish turned out to be very delicious.thankyou. Welcome Eleena. Nice to know this. I am new to cooking. Could you please suggest salt quantity. for most recipes for 3 to 4 servings, you can easily add 1/2 to 1 teaspoon of salt and this depends on the type of dish, eg dry or gravy/curry. start with adding 1/4th teaspoon salt and mix well. check the taste and then add 1/3rd to 1/4th teaspoon more of the salt. stir well and check again. this way you can add salt little by little. Excellent. It came out so yummy. Thank you. thank you falguni for such a nice feedback. happy cooking. welcome shanmuga 🙂 thanks for positive feedbaack. Hi dasanna.. can i pack this for lunch box? Or it has to be served hot? Can you please clarify? renuka you could serve them hot as well as pack for lunch box 🙂 hope this information helps you thanks. Nice n easily to make.. Paneer bhurji..
Super recipe! This is the first recipe I came across for paneer burji and the reviews were good so I gave it a shot. I found I had too much paneer for the masala I had made, so ended up making another half batch (minus the paneer) and adding to my original amount. Was perfect. Will be making again and again! Thanks again for posting! surely try again jenny glad you liked the recipe and thankyou for yoru kind and positive words. also you are welcome.